You are here: Home / Natural Living / Jamberry Review and Giveaway! While I’m not a nail person who has to have a perfect manicure all the time, I am a girl who likes to have pretty nails sometimes. Even though I never completely eliminated nail polish from my life (old habits die hard), I was happy to learn about Jamberry. Jamberry offers a great way to get pretty nails without so many harsh chemicals or the cancer-causing UV lights used when you get gel nails. 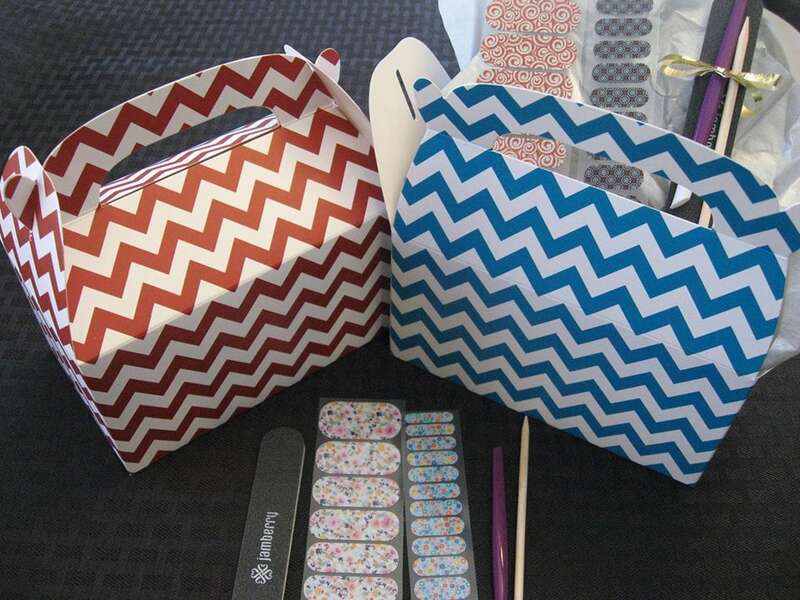 Jamberry is a company that sells nail wraps, a fun and safer alternative to traditional nail polish. The wraps have fun designs that look amazing on your nails. Whenever I’m wearing Jamberry, I always get compliments on my nails. Whenever I try to paint my nails with nail polish, I find myself hiding my nails because they look awful! My favorite part about Jamberry is the variety of colors and designs. Right now I’m wearing Champange Toast as I thought they were perfect for New Year’s Eve! They have a variety of solid colors, stripes, dots, florals, sparkles, and more. There’s something for every style. So how do you get these cool nail wraps on your nails? It’s really not too hard, even for the nail-challenged individual like myself. I am so, so bad at applying nail polish, so for me it is easier to make these nail wraps look pretty than nail polish. You simply apply heat from a hair dryer for about 3 seconds, then press the wrap onto your nail. Next, you use manicure scissors to trim the wrap to your nail size and file down any uneven edges. Apply a little more heat to seal the wrap to your nail and you are done! Wouldn’t you love to try Jamberry for yourself? Now is your chance to try them for free! My friend Liz, a Jamberry consultant, is offering SIX prize packs that include a half sheet of adult, a third sheet of juniors, a file, an orange stick, and a cuticle pusher. That’s right, SIX of you will win one of these great sampler packs. Liz is so awesome for sponsoring this giveaway! If you are interested in purchasing Jamberry, you can visit her on Facebook or on her webpage, Pretty Flirty Nails. I love Jamberry nails. I even put them on my toddler because she loves having painted nails but I don’t like using toxic polish on her. I’ve been wanting to try these! Look great and no nasty smell!?! I’m in! Oh how awesome, I have heard a lot about them but never used them. i have seen them. I just wonder if I have the time to put them on. these are perfect! i never have time to paint my nails with the little baby around. need something that lasts awhile and looks good! must try! I’ve been wanting to try jam berry nails! Happy New year! I’ve been wanting to try these! I love having cute nails but nail polish takes forever to dry which makes the task impossible having little kids to take care of!! They look so fun and easy! I have them on right now! Raspberry glimmer & black & white chevron on my ring fingers and thumbs. Love Jamberry! Congratulations Jenny! I mailed yours on Friday, first class mail. You should receive it by the end of next week. I’ve been wanting to try these. I am terrible at painting my own nails. I just recently heard more about these and would love to try them out! I hope they are as easy to apply as everyone says they are, as my biggest fear is that I won’t be able to make them look nice. Happy New Year Maryea! I’ve been looking for an alternative to regular nail polish! Exciting!! Love Jamberry! Glad to see you partner up with them! These look fun! I’m terrible at painting my nails. I’ve always wanted to try Jamberry! Thanks for considering me. These sound amazing. I have 4 daughters and 7 grandkids and I can’t tell them things all the time as they get mad at me. I do try to slip in healthy good tips whenever I can. I freeze up inside when I see 8 and 9 year old girls wearing nail polish all the time. I know it’s so bad for the development of their nails as well as the chemicals in it. This sounds like fun even more fun than jusypt nail polish. And if it’s healthier then I am all for it. I love the designs and colors. You can make a statement with it. I love this idea and applaud people who take the time to create fun but healthy things. Thank you so much for bringing this to us. You are do dedicated I love reading your blogs. Please keep on doing what you do. You bring health to a chunk of people in this world. Just a heads up. Jamberry nails are made of vinyl, which is PVC (known carcinogen). Not sure whether this option is the lesser of two evils, especially since their are now several polishes out that are non-toxic (ex. piggy paint). Just wanted you to make an informed decision if safer alternatives to regular nail polish is your goal. Yes PVS is a known carcinogen… if its heated to around 400 degrees F. So if my house burns down, my Jams and all the water pipes in my house will release toxic fumes! Sorry neighbors!! But up to that point they are stable and don’t release VOCs, which is a healthier alternative to polish, which continuously releases VOCs even after its dry. Although Piggy Paint is water based it also contains acrylates copolymer (same as Jamberry). Piggy Paint is also low-odor, meaning it does release VOCs. Jamberry is truly odorless. I have to disagree. Piggy paint has no PVC, but they do have other questionable chemicals. Most products are not truly “non-toxic” so it’s more about knowing which chemicals we are willing to deal with. My point in mentioning PVC in Jamberry and providing the informative link is to simply give the facts regarding Jamberry’s claim to be completely non-toxic, which turns out is not the case. Not bashing Jamberry at all, I have lots of friends who use them. I just wanted Maryea to have this information since this kind of thing may be important to her and others here. I certainly would want someone to give me the facts so I can weigh what works for me and decide accordingly. Anyone can do a google search on “Jamberry PVC” and find out more if need be. I have the Material Data Safety Sheet if anyone would like it. I LOVE jams! I’ve just gotten into them in the last month and a half but my girls and I love them! This looks like fun! I would love to win this and put them on with my daughter! What a great giveaway, thanks!! Happy New Years (eve)! They look awesome!! Hope I get a chance to try them! Happy and Healthy 2015!! 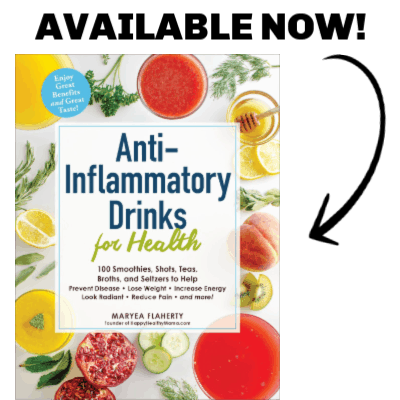 Just recently heard about this product and would love to win one of the packs! This looks great! I would love to try Jamberry! I would love to try this alternative to nail polish. I have developed a bit of a Jamberry obsession! I love all the fun designs! I’ve heard great things about this! Would love to try them! Super cute giveaway hope I win this one. Happy New Year! I’ve been wanting to give these a try, but haven’t yet. Such cute design options! Love to hear about new products that don’t contain harmful chemicals. Really cute designs. i’d really like to try these!! i definitely prefer using all natural beauty products..and i am also TERRIBLE at painting my own nails!! I would so love to try these! Don’t have time for manicures but I love having fun nails! Would love to be a winner! I have never tried jam berry, but would love to! I’ve been soooo wanting to try these!! They look so pretty. I would love to try them. Love these! The prints are so cute! I’ve been wanting to try jamberry! I’ve been wanting to try these! One of my coworkers always has them on, and they are so pretty. Hope I win! Ive been wanting to try these with my three year old. Thanks for the chance to win. I have never tried jamberry but I would love to! I want to win so bad, they look amazing !!! I’ve been curious to try them – the different colors look so fun! I’ve been wanting to try these! I bet your sweet Meghan loves these too! i love jam berry, such cute patterns! I would love to win. ..my nails are in serious need of some help! With three young, active boys, i never have time to paint them and allow to dry! At Christmas, i was one of the only in my family without a pretty set of nails! Awesome…would love to try! And the boxes are adorable too. I love the fun designs! I’ve always wanted to try out Jamberry, they look so cute. 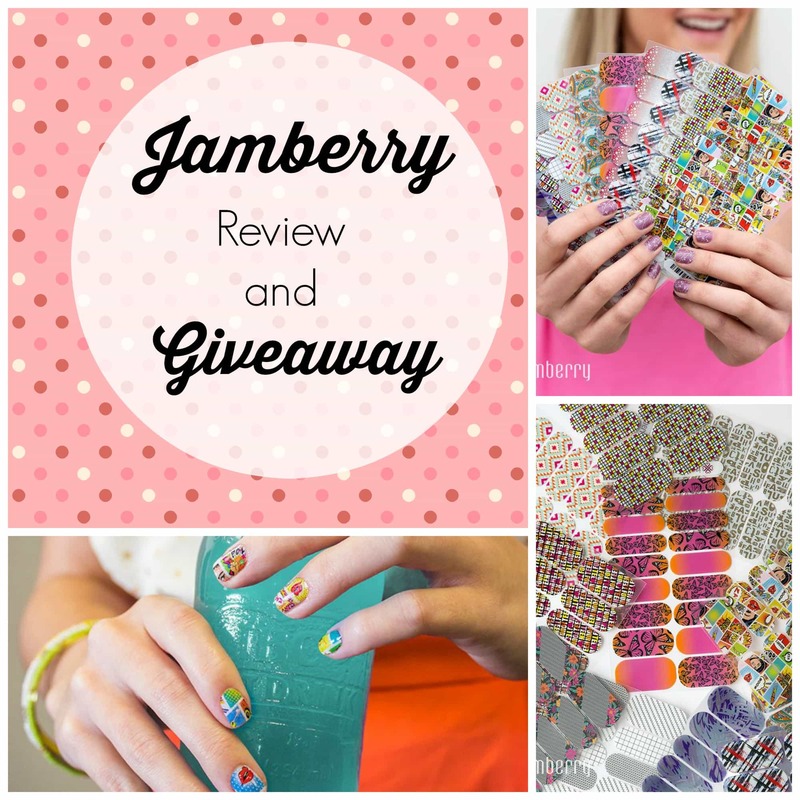 Please enter me into the Jamberry give away! Thanks! I’ve always wanted to try these! ! I love these designs! Great giveaway. Honestly, never had a second thought about the chemicals in nail polish and now …..well, It’s definitely something for me to mull over. Should also say I would love a chance to try this! A nice alternative! I’ve been thinking about trying these. I have a five-month-old who loves to put my hands in his mouth. Regular polish just won’t cut it anymore. These are darling! I would love to try them! So fun! i loved Jamberry when I was pregnant. One pedicure lasted 8 weeks! I love Jamberry nails!! Even my daughter loves wearing them too! My nails need a makeover! I never have time to let them dry! After being diagnosed with an autoimmune disorder and high levels of mercury and styrene which I guess is an ingredient in many nail polishes, I would love to try Jamberry. I have wanted to try these. Love the colors and designs. Love the idea. Fun nails! This has been such a time saver when changing my nail polishes on my natural nails AND also on my fake nails (gel) too! It’s soooo easy to change polishes. This thing is absolutely amazing! I literally can’t live without it!